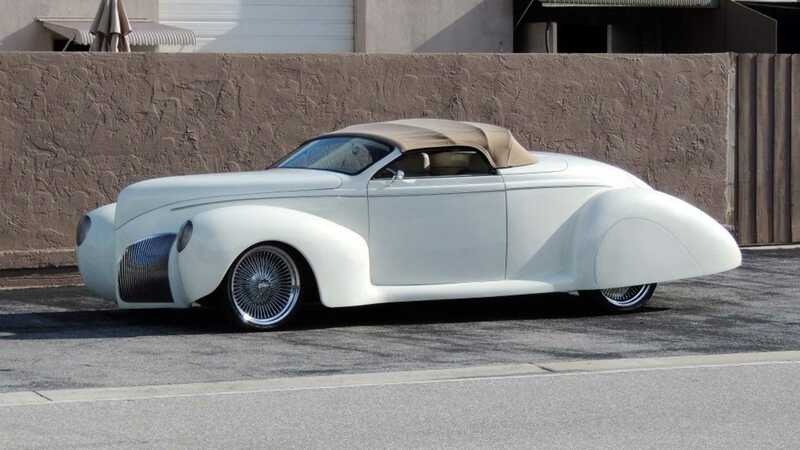 The Lincoln Zephyr was introduced in 1936 and proved to be a highly popular vehicle for its time. 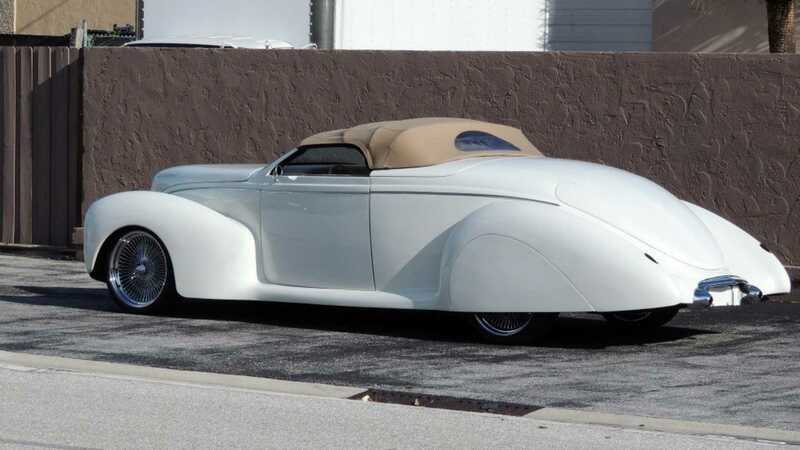 Its Artdeco styling and 267 cubic-inch V12 engine made it a tempting proposition between up until 1940. Today the model remains popular with many being modified during restoration to create truly unique vehicles. 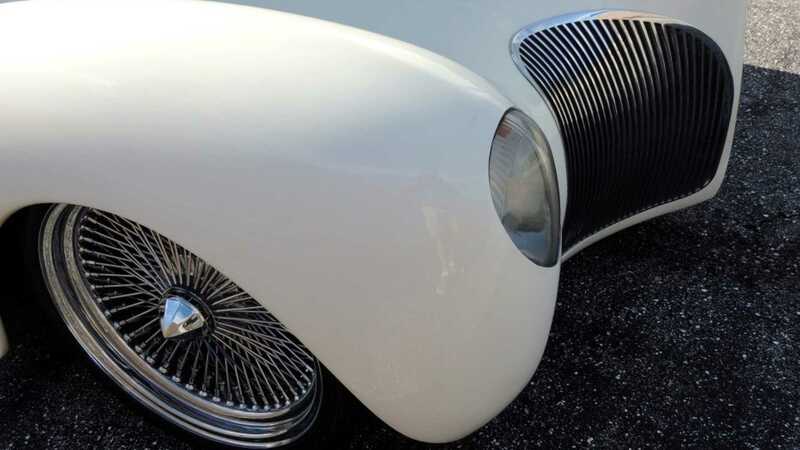 This 1939 Zephyr restomod will be up for grabs with Hollywood Wheels at the Festival of Speed in St. Petersberg, Florida. 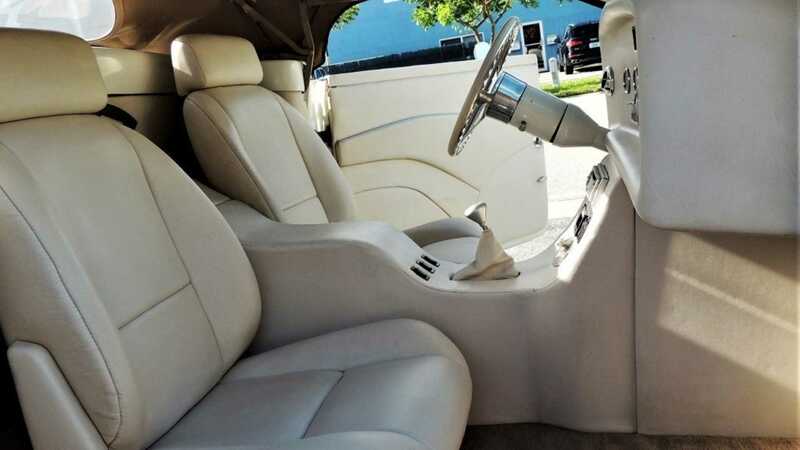 This reimagined land-yacht is a wonderful exaggeration of the classic on which it is based. 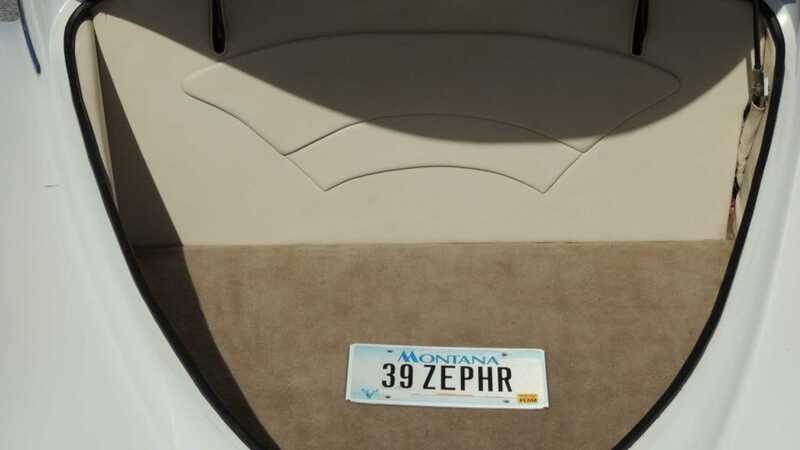 The Zephyr’s distinctive bow and protruding headlamps are accompanied by a pair of sculpted chrome grilles. 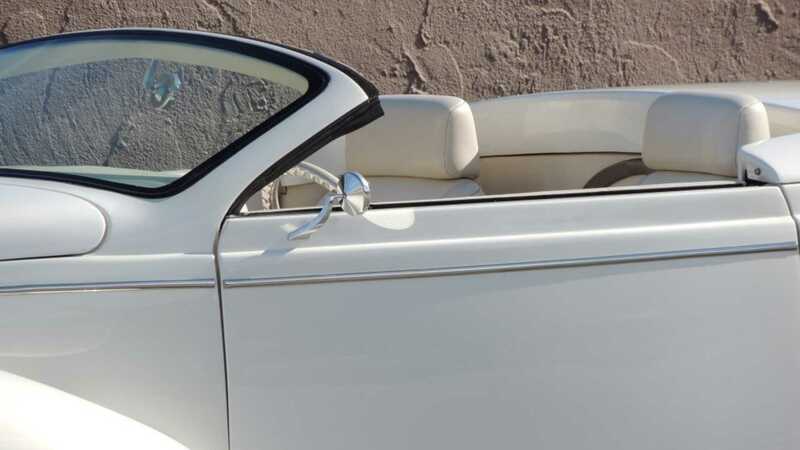 A chopped and raked windscreen promotes a sense of motion even when stationary, something that contributes to this car’s empowered silhouette. 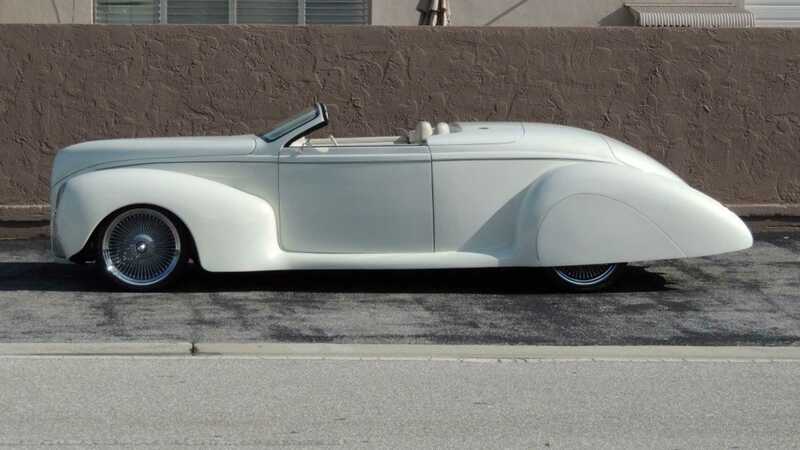 The great length of the vehicle is hunkered low to the ground thanks to the addition of air suspension, and looks majestic posing with those classic-style spoked wheels on show. 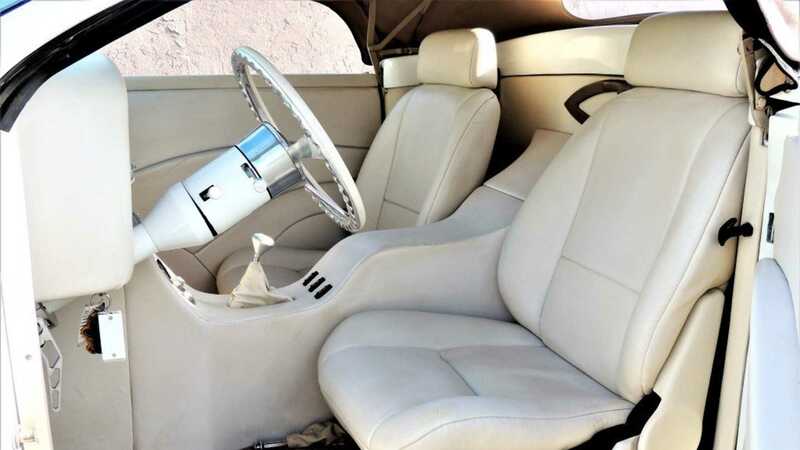 Other modifications include Mustang II front suspension, a folding Haartz convertible top, and the car’s exquisite pearl white paint. 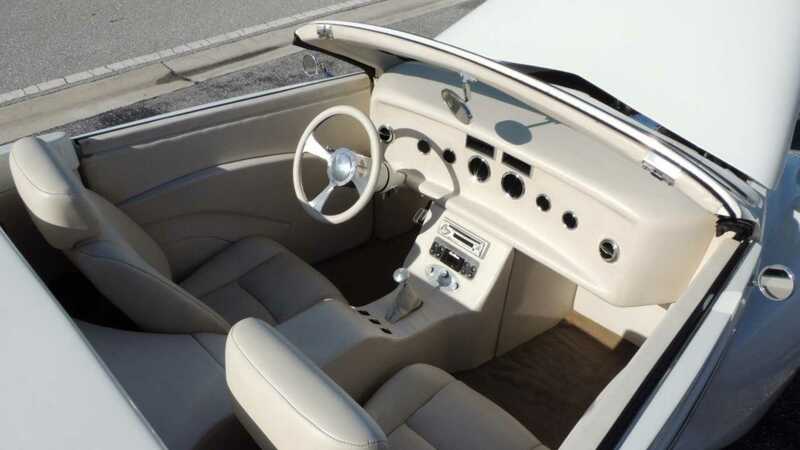 The interior blends classic minimalist design with contemporary features. Supportive leather seats and a sound system adds some luxury to the cabin, while digital Dakota gauges gives the aircraft inspired dashboard a modern twist. The Lincoln’s three-spoke tilt wheel is a particular highlight. 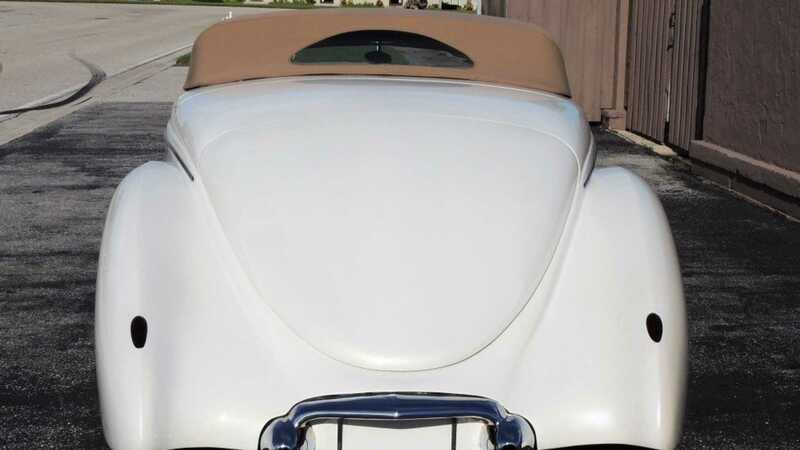 However, the pièce de résistance of this restomod is what lives beneath the sizable hood. 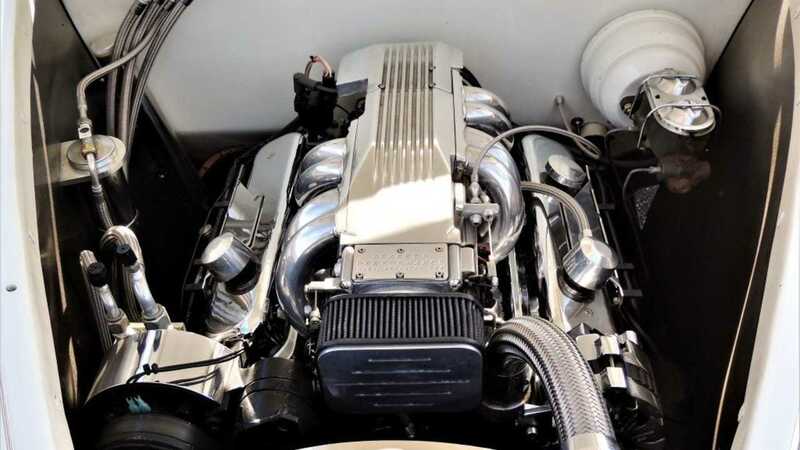 A chromed 350 Ci motor now powers this car and grants enough performance to keep up with newer traffic. The presentation of the unit deserves particular praise with a tidy engine bay and a finish that’s perfect for open-hood displays at events — certainly something to be proud of. 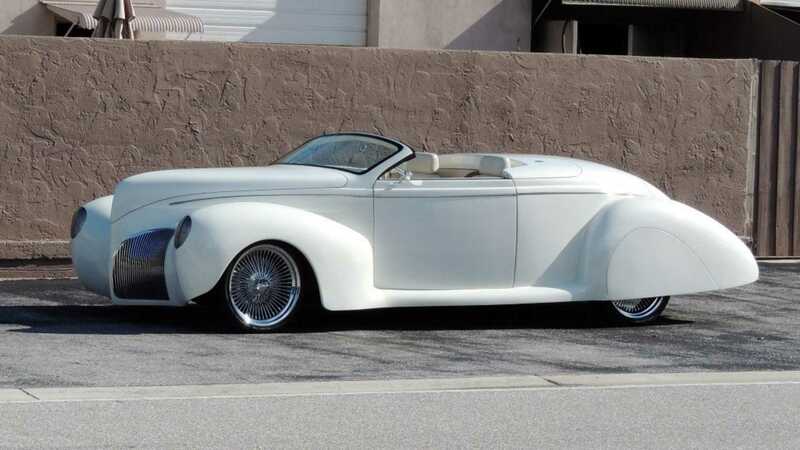 This 1939 Lincoln Zephyr restomod has an estimate of $85,000 - $100,000 when it hits the auction block on 7 April 2018 with Hollywood Wheels.